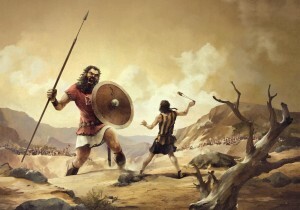 What if David and Goliath spoke the same language? Malcolm Gladwell’s David and Goliath has prompted a predictable slew of commentary in the business press, including a recent article in Forbes arguing that we should be investing in the Davids. The hugely respected Harvard academic Clay Christensen has been taking to the airwaves to explain, in effect, why a David-like company such as Blackberry turned into a lumbering Goliath. So, if you accept Gladwell’s thesis that nimble, skilled David was always going to win that fight, how do companies retain – or regain – that David spirit, and avoid the fate of Blackberry?